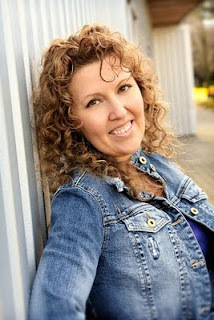 This week's Girlfriends Cyber Circuit guest is Denise Jaden, one of my fellow debut YA authors from the class of 2K10! I met the fabulous Denise at BookExpo America this year, where she accompanied the class on all of our events, even though her book wasn't out for several months. Talk about supportive! My Simon Pulse editor, Annette Pollert, sent me Denise's debut, Losing Faith, because she knows I love to read phenomenal contemporary YA novels. It hit an out-of-the-park home run with me, not only for the sympathetic and complex heroine (which I expected), but for its courage in dealing with a touchy subject that is central to a lot of people's lives: religion. At the beginning of the book, the main character Brie loses her sister Faith in a tragic accident that the police suspect was actually a suicide. Faith had been a devout and passionate Christian, and as Brie became a nonbeliever (in religion, at least, if not in God), the two sisters grew apart. After Faith's death, the old fond memories gradually return to Brie, and she remembers how much Faith meant to her. But Losing Faith isn't only about mourning a loved one and exploring belief or the lack thereof. It's also a riveting mystery. Despite her parents' objections but enabled by their emotional withdrawal, Brie begins to investigate Faith's death, at first to determine whether it was suicide or an accident. The clues lead to an even more disturbing possibility. When Brie's sister, Faith, dies suddenly, Brie's world falls apart. As she goes through the bizarre and devastating process of mourning the sister she never understood and barely even liked, everything in her life seems to spiral farther and farther off course. Her parents are a mess, her friends don't know how to treat her, and her perfect boyfriend suddenly seems anything but. As Brie settles into her new normal, she encounters more questions than closure: Certain facts about the way Faith died just don't line up. Brie soon uncovers a dark and twisted secret about Faith's final night...a secret that puts her own life in danger. Strong in its characterization…satisfying…a thoughtful read. This book is wonderful. I stayed up way too late because I couldn't put it down. Tessa is one of my all-time favorite characters - fascinating, nuanced - she lived for me, jumped right off the page. Terrific read! Suspense, religion, romance, teenage angst—this book has it all and it is all well done. 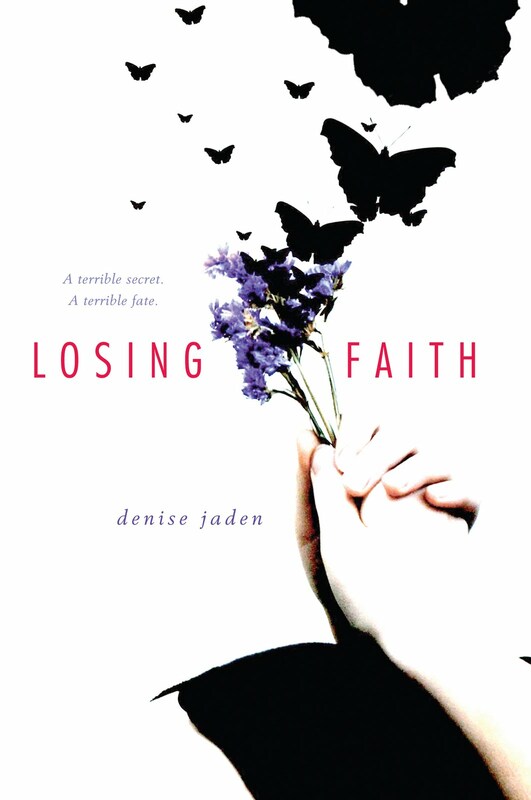 Losing Faith was an amazing read that hooked me in the beginning and when it was done I was well-satisfied with the conclusion. Great from start-to-finish! I'd love to walk in Tessa Lockbaum's shoes for a day. She's tough and full of spirit, does all the things I wish I could do. Mostly I just think it would be interesting to be in her life. I'd love to have Alis in my world. He's sweet and deep and I know I could trust him with anything. Oh, and he's cute too! I recently attended a high school archery competition to incorporate into my next novel. It was so interesting, and I even got to try my hand at shooting! This is kind of gross, but I think the first memory I have is as a toddler, throwing up behind my parent's big armchair. Like my main character, Brie, I have a fear of heights. Though I don't think mine is as severe as hers! To enter, leave a comment below, about the interview, about my thoughts on the book--or just wish Denise a happy debut! Deadline: Monday, November 1, 11:59pm eastern. US shipping only. Thanks to Denise for stopping by, and congrats on your wonderful new book! Great interview! And I'm with both Brie and Denise on the height thing! Congrats to Denise on her debut, and thanks for the giveaway! Thanks for reminding me about Losing Faith! I'm so far behind in my 2k10 reading. The cover is just gorgeous and that's quite a ringing endorsement from you Jeri. Congratulations on your debut novel Denise. What a great interview. I think the cover of this book is absolutely beautiful. Congrats to Denise!!! Aw, I'm so glad you enjoyed the book, Jeri! Thanks so much for all your kind words and for hosting me on your blog! Awesome review! This sounds sooo good =) Congrats Denise on the debut and all your success! And I agree with everyone that this is absolutely a wonderful cover. It's a great story but you needn't enter me in the book giveaway as I already have my copy. It was great spending some time with Denise at last weekend's SiWC conference. She also made herself available for sales and signing right along with all the big name authors at the conference's Book Fair, which was really cool. Wishing you continued success, Denise! What a great interview and I can't wait until I can read it . It sounds like a great book I love the cover very pretty! Congrats on your book it is on my to read list! No need to add me to the giveaway - I already have the book! And it is truly fabulous. What a lovely interview! Loved the interview. And I love this book's cover, too! this book sounds really great. i have only read a few other ya book sthat deal with the character struggling with her religious beliefs and would love to read this one. i can't wait! the interview was wonderful too. thank you for running this contest! No need to enter me in the contest. I own, have read,and love Losing Faith just as much as I adore Denise herself. Both the book and its author are wonderfully unique. Thanks, Jeri, for sharing the news. Congrats on the new release, Denise! Sounds like a great book. That's pretty cool you got to learn something new while researching for the book. This sounds really good. Congrats on the debut! SHADE in the UK week begins!